The Put-in-Bay Resort is the island’s newest and most popular Caribbean themed resort. The property construction came in four phases. 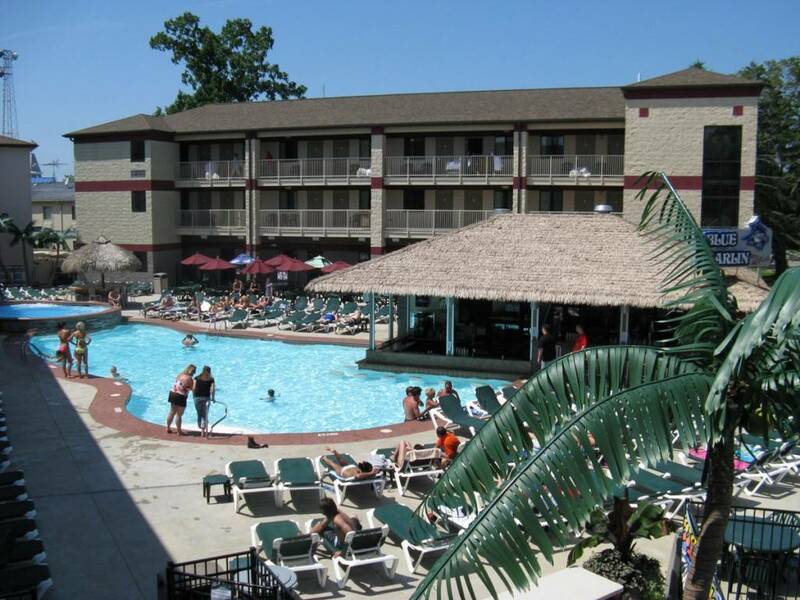 Moreover, the Put-in-Bay Resort is the island’s only full-service resort & conference center. All rooms, amenities, catering, and meeting facilities are in one convenient location! So, hosting a business conference here is ideal. Groups can be assured the professional staff will cater to all their needs. Moreover, the variety of lodging options will make planning a breeze. The Resort offers fully wheelchair accessible rooms. Additionally, there are standard double queen rooms, pool view rooms with a pool-facing balcony, and luxury suites. The luxury suites sleep between 6 to 8 guests. The most recent addition is a courtyard area with additional rooms and Put-in-Bay golf cart parking. Villas are great choices for bigger groups. Instead of splitting up in multiple rooms, guests can make memories together. Also, an efficiency kitchen in the villas affords guests the chance to save some money. Cooking just a couple meals during a Put-in-Bay stay can equate to great savings. Meeting, wedding, and banquet facilities for up to 450 people. Also, Full food and beverage service on site. The Put-in-Bay Resort offers online booking for reservations.